As Landscape gardeners we have over 28 years experience, originally working for Bournville Landscapes in and around the historic South Birmingham model village created by George Cadbury, Bournville. 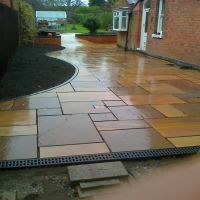 Since forming Country Lane Landscapes Ltd in 2002 we have helped enhance peoples gardens and home exteriors in Birmingham, Solihull, Sutton Coldfield, Bournville, Edgbaston, Harborne, Moseley, Kings Heath, Kings Norton, Shirley, Earlswood, Dickens Heath, Hall Green, Dorridge, Knowle, Henley in Arden, Hockley Heath, Lapworth, Wythall, Hollywood, Alvechurch, Barnt Green, Quinton and Tidbury Green. In order to continue to be a member of the Association of Professional Landscapers, the quality of the work carried out by Country Lane Landscapes Ltd is checked on an annual basis. We also carry the Government Trust Mark and are members of the Horticultural Trades Association. 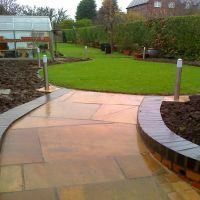 At Country Lane Landscapes Ltd we pride ourselves on being trustworthy, reliable and experienced enough to turn a garden design or idea into finished work of the highest standard. We always ensure a project is completed before we begin another, so as our client you and your garden can be assured of our full and undivided attention. Each Landscaping contract is personally overseen by the company director, Paul Lane. Whatever you have in mind, from an individual water feature or installation of a pond, through to a complete garden design and garden landscaping project, we will be delighted to talk through your ideas. Please take a look around our website for information on the services we offer and feedback from our previous clients. 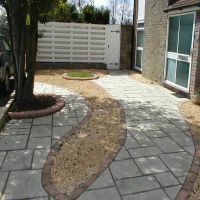 We are experienced in creating low maintenance gardens; small, large and narrow garden landscaping; laying patios, slabbing, block paving and pathways; new lawns; decorative brickwork; brick walls; garden lighting and garden fencing. We may also be able to source and install items from architectural salvage, including blue bricks, Georgian and Victorian brickwork and Victorian iron railings, wrought iron gates and railings. We are also specialists in the supply and installation of outdoor lighting and garden lighting. Whether you require a contemporary garden design, or landscape gardening to compliment a period property we would be very pleased to speak with you to arrange a no-obligation quotation. Covering Birmingham, Solihull and the West Midlands you can trust us to carry your project in a professional, polite and timely manner. Relax, we pride ourselves on finishing one job before starting on another. You can be certain we'll show your property the same respect that you do.